Every year several students in Rajasthan, dissatisfied with their exam results in MPSC, TET, UPPSC and more get depressed and some have to start anew. To allay your distress and confusion, the Honourable Supreme Court of India has permitted you to avail the benefit of checking your exam answer copies under the Right to Information (RTI) Act called In accordance RTI Act 2005. According to this law, the relevant body is bound to disclose the evaluated answer sheets to the applicants, who had sat for the exams, whether state or central, as well as, state government boards and universities. 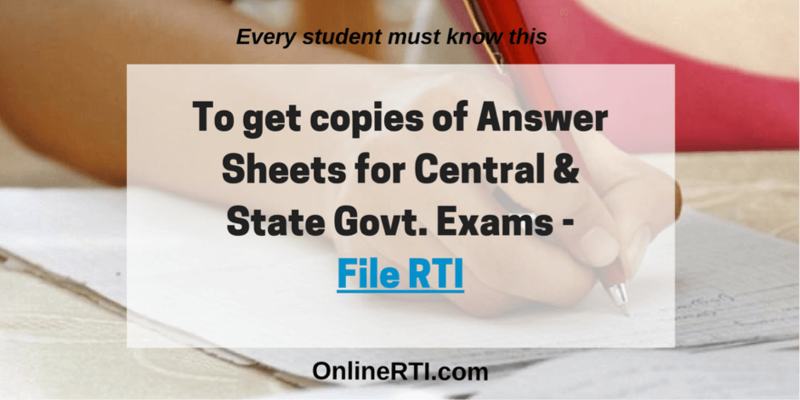 You can file an online RTI to get you hands on your answer sheets and not have to wait for months. OnlineRTI makes it possible to file an application in just a matter of 5 minutes. You can file an RTI if you are an Indian citizen. You are entitled to make use of RTI, whether you are 18 years old, above or below. However, in the event that you are a minor, your guardians may handle the filing process. Why Should You Apply for RTI Rajasthan? Thanks to RTI Rajasthan, you can get yourself equipped with the following. Fill out the exam details like, roll number, exam name, your name, address and contact information in our form. You will receive a copy of a new approval created by us, once we get your application and in case we identify a glitch in the form or are in need of supporting documents, we will contact you. For attaching a document like admit card, visit the track page and select the ‘upload’ tab for uploading the file. We will draft your application in a format fit to address the concerned office and send it without much ado to the PIO. You may sign manually or through electronic signature. Adding to the convenience is the fact that you can practically track the application in each and every step. Paying us for our services is as smooth as applying the RTI. You can make the payment in a smooth manner with the help of Netbanking, Paytm wallet or through cards (credit, debit and ATM). The entire procedure is extremely secure and keeps no gap for any information leak. Your payment done, all you have to do is wait for a response from the concerned institution, as we waste no time in sending your application. It is compulsory for the PIO to respond to your application in a month (30 days). Now that you know how to file RTI, go ahead and get your answers. 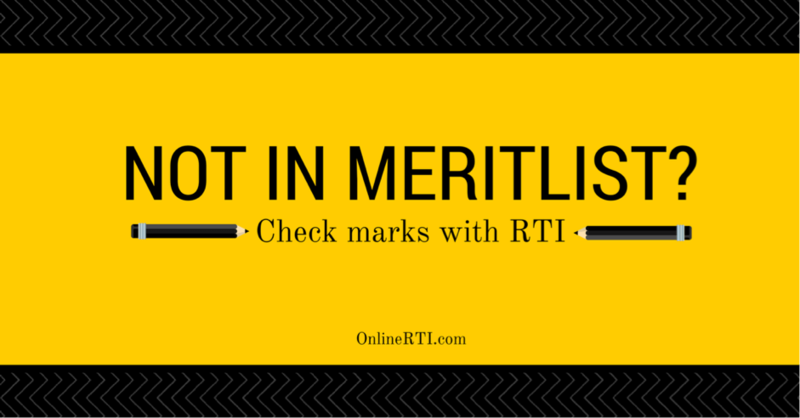 If you are still waiting, opt for online RTI soon with OnlineRTI and watch the secret unfold. This is guest post by Mili Mishra from onlinerti.com. For any additional queries you can email at: mili@onlinerti.com . Kindly check all parameters, confirm services before doing any payment, RajRAS is no way responsible for any payment to onlineRTI. RajRAS has only shared information provided by onlineRTI. RajRAS is no way related to onlineRTI.com.